Almost every item you've ever purchased, clothing, food, toiletries, and many others, has spent a significant amount of time in the cargo bed of a commercial truck. Over many years, large commercial trucks have still proven to be the most convenient and flexible method for us to move our goods from one area of the country to another. As our economy continues to see growth, there is going to be an increase in goods produced, and an increase in the number of trucks needed, and therefore an increase in the number of truck drivers needed. With just a few weeks of training, you could receive your licensing to start a new career, and enter the well-paid industry of truck driving. Find a local CDL school by searching below. To become a truck driver, you will need your CDL class A license. This will allow you to legally drive a commercial vehicle with a gross vehicle weight of over 26,001 pounds that is hauling a trailer or vehicle that weighs over 10,001 pounds. This includes most commercial semi-trucks, or 18-wheeler vehicles. These are the vehicles that are used to move produce and products across the country. Contrasting popular belief, truck driving can actually be quite a physical job. Many truck drivers are responsible for loading and unloading their deliveries at their origins and destinations. Truck driving is also a mentally challenging occupation. As a truck driver, you must be well versed in all of the transportation laws, you must be able to keep accurate and meticulous driving logs, and you must know how to maintain your equipment and ensure that your vehicle and trailer are in good working condition. This knowledge keeps you safe, your products safe, and all of the other drivers on the road safe. The way to obtain all of these necessary skills and knowledge is by attending a truck driving education course. These courses cover all of these areas as well as any others that will keep you safe and successful on the road. 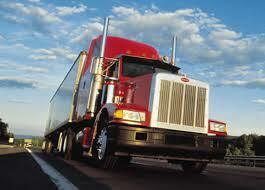 You will cover the entire curriculum necessary to obtain your CDL, or commercial driver's license. The course typically only requires three to four weeks of your time and many employers will pay for your education if you are willing to commit to working for their company. This means a free education and a job waiting for you as soon as you are finished. Truck driving is an excellent profession to pursue if you want a job that allows you to be independent, and travel all over the country. If you are interested in starting a career as soon as possible, receiving your CDL class A license will get you moving very quickly. Education always makes a job candidate more marketable, and a CDL license will put you in demand for many trucking companies. Individuals who are interested in these long-haul commercial trucking positions are receiving the best job opportunities with the highest pay and the most favorable schedules. Remember, these companies entrust truck drivers with their valuable goods. As you become more experienced and maintain a safe driving record, you could be on your way to an extremely lucrative career as a truck driver. Does hitting the open road as a truck driver or heavy trailer transporter sounds like a career you would be interested in in? If so then you found the perfect place to help you research and start your CDL professional truck driving career. As a truck driver you’ll be responsible for hauling goods from one location to another and most often spanning across several states. Truck drivers need to have the ability to plan their own routes, be updated on weather conditions and alternative routes as well as log and keep track of their miles and expenses. If you have a friend that ;you are going to school with some companies hire teams of drivers which allows them to drive into the night and get the cargo to their final destination quicker. Finding a truck driving school for our CDL license is easy. We have listed all the top CDL schools in the county to allow you to research them. Because truck driving is 100% hands-on you’ll need to locate a school you can attend. This doesn’t mean you have to find one in your hometown, in fact most students travel and stay in the town where they are attending school. Training is fast and some programs you’ll be on your way and driving within 3-6 months. The schools listed are all schools where you can receive your CDL training from. The main difference between each of them is their location where they have their training, the availability of you getting into the next class, tuition costs and slight variation of how they teach their program. Training Location: As mentioned not every state might have a school close enough to you to attend. Find one that is close using the schools listed and request information. Start Dates: Not all schools have open start dates. Most of them will wait until they have a full-class before they start. When talking to the schools make sure you ask them when they are having their next start date and if you enroll would you be included in the class. Ask them if they ever delay their start dates as well. The last thing you want to do is move to attend school only to find out they pushed their start date 2 months. Tuition Costs: This is probably the most important thing to research and find out before you enroll as every school will be different. The main reason why is they might teach different things or certain fees might be included in with your tuition costs. Financial Aid/Scholarships: Once you receive your career packet in the mail to research your school be sure to see if they offer Financial Aid, scholarships or tuition payment plans. Often schools offer these and other forms of assistance that you might be able to qualify for. Also if you are a military veteran or dependent you could also qualify for military tuition assistance to help pay for your truck driving training. As you might expect working conditions for a truck driver means logging all of your time on the road. You’ll be required to have stop breaks and truck drivers can’t log more than 60 hours behind the wheel per week. Depending on where you’ll be hauling you might encounter poor weather like ice and snow where you’ll be required to chain up your tires. If you like the open road and love to work independently then a career as a truck driver might be good for you. To become a licensed truck driver you’ll need to obtain your CDL license by the state. The school you’ll attend will teach you everything you need to know and help you pass the exam. Once you have your CDL then you can also get special licensing or endorsements which will allow you to haul different types of cargo including hazardous materials. If you know this is something you want to haul then make sure the school you are attending covers how to haul these materials. There are 3 different types of CDL licenses depending on the type of truck and weight of your cargo. The first class is a class A license which allows you to drive any combination of vehicles with a gross vehicle weight rating of 26,001 pounds or more. Class B is any single vehicle with a GVWR of 26,001 or more pounds. Class C is designed if you intend to transport 16 more passengers which include driving a bus, limousine or van. As a truck driver over 30% will haul general freight which makes up the largest percentage of what is hauled in the US. At the high end you can expect to make over $55,000 being a truck driver. Drivers are paid based on how many miles they travel and pay varies from company to company. Also what you are hauling also makes a difference as well as the risk you are taking. Select companies for example that haul in Alaska over ice are in demand since the pay is higher but the risk for injury is greater. Also private companies might also pay a higher salary and you’ll be paid a salary and not by the mile. The outlook for truckers has continued to be in demand over the last 30 years. More and more trucks are on the road as it is still one of the most efficient ways of hauling household good to market. Large companies such as Walmart have a fleet of trucks in order to move goods from docks to all of their 1000’s of stores and warehouse facilities. Once you get your CDL license it is time to find a job. The great thing about trucking companies is that most of them are always hiring. The first place to look however is at your school. The school which you received your license from is the best place to start. They often already have jobs lined up for graduates as they stay in constant communication with larger trucking companies. Often graduates get placed right into a job so don’t overlook or forget to ask about job placement when you enroll. We have heard some great things about how schools handle their placements.